Does my California employer owe me money for unpaid wages? | The Turley Law Firm P.C. Can I bring a lawsuit for unpaid wages in California? When you’re owed unpaid wages in California, the first thing you need to know is that California law protects you. You can bring a lawsuit in order to recover your unpaid wages. This is the most comprehensive article on unpaid wages for California employees. In this article, we discuss all of the following questions that workers in California oftentimes have when they aren’t paid the wages they are owed. We talk about what your best options are if you aren't paid your wages. - I haven’t been paid wages that I’m owed, what can I do? - Does my employer owe me money for unpaid wages? - Can I sue my employer for unpaid wages in California? - What is California’s minimum wage? - Can I file a lawsuit to recover overtime and wages owed? - What can I do if I’m not paid my wages on time? - If I have a contract or agreement with my employer to pay me a certain wage - does my employer have to pay at the contract rate? - What are minimum wage liquidated damages? - Can workers agree to waive the minimum wage or overtime pay? - Do I have to be paid at least minimum wage for all hours that I worked? - Do piece rate workers have to be separately paid for all hours worked? - What can I do if I don’t get meal breaks? - What are employer’s duties to provide meal breaks in California? - What can I do if I don’t get rest breaks? - What are employer’s duties to provide rest breaks in California? - What are the wage and hour violations that I can sue for in California? - What if I’m not reimbursed for business expenses? - How long do I have to file an unpaid wages lawsuit in California? - How much will I get if I file an unpaid wages lawsuit in California? - Does my employer have to pay me my regular wages or the agreed upon wages? - Can I recover attorney fees if I have to sue to get my unpaid wages? - Can I recover wages if I work off the clock? I haven’t been paid wages that I’m owed, what can I do? In California, there are four ways that you can recover unpaid wages. That is, wages that are owed to you by your employer. In this article I cover your options. Here is an overview of your options for getting your wages paid in California. First, you can file a wage claim with the California Labor Commissioner. That is, the California Division of Labor Standards Enforcement (DLSE). I usually don’t recommend going forward with a case before the Labor Commissioner’s office. I urge extreme caution before filing a claim before the Labor Commissioner’s office. What you are going to see is that the Labor Commissioner’s office is extremely overworked and you can not depend on them and/or expect them to be your advocate. As you will see, this isn't because they don't want to help workers. Because they generally do want to help you. Read on. How do I know that the DLSE is overworked? I will start with my meeting with California Labor Commissioner Julie Su. She was testifying at a California Legislature Hearing that was just before one of the times when I was going to testify. I was introduced to her before we both testified. But I remember her from the Brinker case. Ms. Su filed an amicus brief for the workers in the Brinker case. So, you know her heart is in the right place. So when California Labor Commissioner Julie Su testified, I listened. What I heard was eye opening. The sum and substance of the testimony that I walked away with it that while well meaning, the Labor Commissioner’s office is simply overworked and understaffed. Big time. This isn't her fault. They need more money. What I am telling you now is “inside baseball,” so to speak. It didn’t come from California Labor Commissioner Julie Su. But I think you can take it to the bank, to once again mix metaphors. Based on what I have heard from folks that seem to know, some of the Deputy Labor Commissioners are drowning with way too many cases. Some have over 500 cases assigned to them. Because they have so many cases assigned to them, one of the Deputy Commissioner’s primary jobs is to get rid of as many wage claims as they can. Yes, you heard that right. The DLSE can’t possibly have so many cases go to hearings. That won’t do. Because hearings take up a ton of time, energy and resources. As is explained on the State of California’s website, the Labor Commissioner’s Office investigates your claim and makes a determination as to whether or not the employer violated California wage laws. If the Labor Commissioner’s Office determines that no violation occurred, it will dismiss the claim. Let’s stop right here. In other words if the Labor Commissioner’s Office doesn’t believe you or think that they can win, you are out. These are the folks that are extremely overworked. For these reasons, and more, I recommend that for most instances - the State of California Labor Commissioner claim be your last choice, so to speak. Again, I'm not putting down the California Labor Commissioner, their attorneys, and/or staff in any way. It is not their fault they are so overworked and understaffed. They are trying and they can help. But wait, it's even worse that it first appears. What most folks don't realize is that even if you win your case with the Labor Commissioner, the employer can and probably will appeal your case to the Superior Court, where you have to start everything over again and then you will have a very expensive individual case (see below). Meaning, you'll probably still have to hire a lawyer, pay expensive costs, etc. I know - that all can really be a bear. I get it. But my job is to tell you what you need to hear - not what you might want to hear. With all that being said, I have referred folks to the Labor Commissioner’s office before. Only because that was these workers only hope. Meaning, no lawyer was going to take their wage claim case. If you haven’t tried to get a seasoned class action lawyer to handle you case first, then I suggest that you go that route first. That is, you first try and find a lawyer that will agree to handle your case as a class action or a PAGA case. If you can't find a lawyer that will agree to take your case - then, and only then, do I recommend that you file a claim with the California DLSE. Second, you can file a lawsuit against your employer as an individual. The problem here is that you are usually going to have a really hard time finding a lawyer that can take on and beat the company when you are bringing a individual claim. Meaning, bringing a claim just for your own unpaid wages. Lawsuits are usually very, very expensive. Many lawyers understandably don't want to risk putting out a lot of money in case costs, if your individual claim isn't worth that much money. So, for most workers, bringing an unpaid wages claim for themselves is going to prove difficult for them to find a lawyer that will agree to take the case and will be able to beat the company lawyer. Third, you can file an unpaid wages class action case. For most workers, this is going to be the most practical and best way to protect your wage rights. Class actions play an important function in enforcing overtime laws by permitting employees who are subject to the same unlawful payment practices a relatively inexpensive way to resolve their disputes. “By establishing a technique whereby the claims of many individuals can be resolved at the same time, the class suit both eliminates the possibility of repetitious litigation and provides small claimants with a method of obtaining redress for claims which would otherwise be too small to warrant individual litigation.” Sav-On Drug Stores, Inc. v. Superior Court, 34 Cal. 4th 319, 340 (2004); Gentry v. Superior Court, 42 Cal. 4th 443, 459 (2007). Class action cases are a great way to get your unpaid wages. You can take on the company and win. You can find a lawyer that can and will be able to beat the company's high-priced shark lawyers. 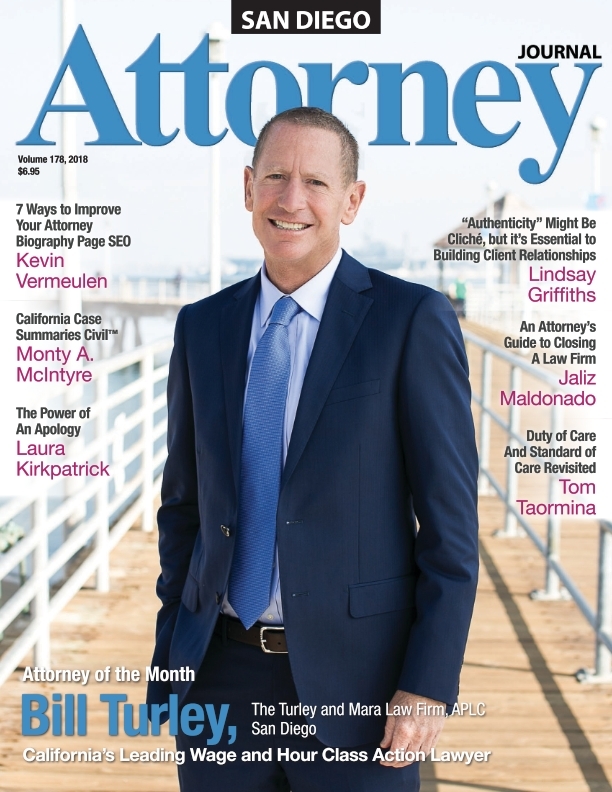 There are lot of lawyers that have fancy websites that claim that they are good California wage and hour class action lawyers. Based upon my first hand experience - very few of them are actually good lawyers. Apparently anyone can say they are a good wage and hour class action lawyer. You want a lawyer that other people - - who actually know good lawyers from bad - say are good lawyers. You want someone with a long track record of winning these unpaid wages cases. I would like to tell you there are lots of these lawyers out there. But, unfortunately, they isn't. Fourth, you can file a PAGA case. Private Attorneys General Act or as it is commonly called PAGA, authorizes employees that are subject to illegal labor code violations to act as private attorney generals to recover civil penalties from their employers for violations of the labor code. This can be so, so powerful. You, in essence, can bring a case like the California Attorney General when your employer violations California wage and hour laws. 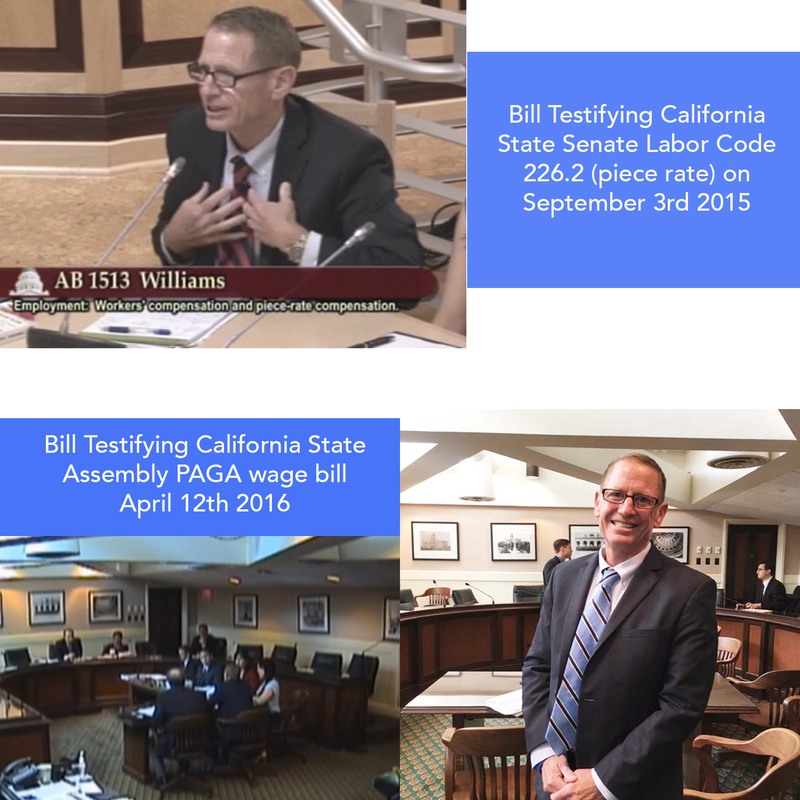 I know about PAGA actions because I helped draft the latest changes to the PAGA statute and I have testified before the California State Senate on PAGA. The idea behind PAGA is that the legislature understands that the DSLE was very understaffed and they also realized that the DLSE can be subject to political pressure. In response, the legislature came up with PAGA. So what PAGA does is that it allows you to take on the company as if you were the Attorney General of California. You are getting penalties from the company that has stolen your wages. This is great stuff for California workers. If there is an arbitration case or if you want to stay out of Federal Court (or both); PAGA cases can be a very good option. For more information on PAGA. Which of these actions you take really depends on your particular situation. The best place to start is for you to talk with the very best, honest unpaid wages class action lawyer that you can find. In most circumstances, a wage and hour class action and/or PAGA case is going to be your best option. If your case isn't a god fit for a class action case or a PAGA case, then you may want to explore an individual case. Finally, for some folks, a Labor Commissioner / DLSE claim is the best (and only) option. Does my employer owe me money for unpaid wages? Can I sue my employer for unpaid wages in California? If your employer has violated California wage and hour laws - specifically the California Labor Code and/or the California Wage Orders - then you can bring an unpaid wages lawsuit your employer. Below is a list of California Labor Code and/or California Wage Order lawsuits for unpaid wages that you can bring. What is California’s minimum wage? It is against California law for your employer to pay you less than the minimum wage for time that you work. IWC Wages Order. See the California Minimum Wage - Wage Order. What is the minimum wage if the city I work in has its own minimum wage? Many cities in California have their own minimum wage laws. Employers are required to pay employees the greater of the State or local minimum wage. On July 1, 2019 and each year thereafter, the minimum wage rate will be adjusted based on the annual increase in the Consumer Price Index. Can I file a lawsuit to recover overtime and wages owed? Yes, California law allows you to sue your employer for wages owed and overtime owed. California Labor Code Section 1194. You can check out this article on gathering evidence on an unpaid wages case and this article on calculating your money damages in an unpaid wages case. What can I do if I’m not paid my wages on time? Actually, there is a lot you can do. I cover all of this in depth in this article: What if I'm not paid my wages on time? If I have a contract or agreement with my employer to pay me a certain wage - does my employer have to pay at the contract rate? Yes. Employers in California are required to pay you your “contract wages.” For example, if your company agrees to pay you $22 an hour, then the company must pay you $22 for all hours you work. Overtime - When am I entitled to overtime pay in California? Under California overtime law, employers are required to pay non-exempt employees for work over 8 hours a single work day or 40 hours a week. Labor Code Section 510; IWC Wage Order. The minimum overtime rate is one and on-half times their regular rate of pay. Labor Code Section 510; IWC Wage Order. Double time - When am I entitled to double time pay in California? Under California double time law, work in excess of twelve hours in a single work day or in excess of the eight (8) hours on the seventh day of a workweek must be paid at double the hourly rate of pay. Labor Code Section 510; IWC Wage Order. What are minimum wage liquidated damages? Employees that are paid below the California minimum wage may recover liquidated damages. The liquidated damage amount is calculated by determining the amount of wages owed. And then you get that amount, plus the same amount in liquidated damages, plus interest. So, in effect, you are entitled to the minimum wage you are owed times two, plus interest. Thus is you are owed $12 in minimum wage your are entitled to another $12 in liquidated damages, plus interest. However, you can not recover liquidated damages for overtime owed to you. The statute of limitations for liquidated damages is three years (the same as for minimum wages owed). However, if the court determines that the employer has a “good faith” and the failure to pay was “reasonable” then the court has discretion not to award the liquidated damages. See California Labor Code Section 1194.2. Can workers agree to waive the minimum wage or overtime pay? Under California law, employees can not agree to waive getting paid minimum wage and/or waive getting paid overtime or double time. This also includes collective bargaining agreements (CBA’s). Labor Code Section 219. The way this comes up is sometimes employers will suggest that a worker could work for less than minimum wage or work without getting overtime. This is illegal in California. Employers have to pay you, at least, the State of California minimum wage and they have to pay you overtime, when you work overtime. California Minimum Wage Order; Gentry v. Superior Court 42 Cal.4th 443, 455-457 (2007). Do I have to be paid at least minimum wage for all hours that I worked? Under California law, employees must be paid at least the minimum wage rate for all hours worked - - whether they are hourly workers, piece rate workers, commission workers and/or salary workers. This is irrespective of whether the minimum wage standard would be met if the employer averaged all the hours worked in a work week. Are there any exemptions from minimum wages in California? Yes. One common exemption from California minimum wage is outside salespersons. Do piece rate workers have to be separately paid for all hours worked? Under California law, piece rate employees must be separately paid for all hours worked - including all “non-productive time.” And they must be separately paid for all rest breaks and recovery periods. Labor Code Section 226.2. Bill Turley testified before the California State Senate on California Labor Code Section 226.2 - the California piece rate wages bill. What can I do if I don’t get meal breaks? Under California law, if you aren’t provided a meal break you are entitled to an hour’s pay. Labor Code Section 226.7. California meal break law. This article explains what you can do if you don’t get your meal breaks. What are employer’s duties to provide meal breaks in California? Figuring out if you are being provided a legal meal break in California is much more detailed that you might at first thing. This can be very important to you though because you may be owed an hour’s pay for every time that your employer failed to provide you with a legally compliant meal break in California. Click here for the most comprehensive article on California meal break law. Bill represented the workers in the 2012 groundbreaking California Supreme Court case - Brinker vs. Superior Court. Many people say that the Brinker case is the most important California Supreme Court wage and hour case in years (if not ever). What can I do if I don’t get rest breaks? Under California law, if you aren’t authorized and permitted to take a rest break you are entitled to an hour’s pay. Labor Code Section 226.7. This article explains what you can do if you don’t get your rest breaks. What are employer’s duties to provide rest breaks in California? Figuring out if you are being provided a legal rest break in California is much more detailed that you might at first thing. This can be very important to you though because you may be owed an hour’s pay for every time that your employer failed to provide you with a legally compliant rest break in California. Click here for the most comprehensive article on California rest break law. What if I’m not reimbursed for business expenses? Under California law, you employer must reimburse you for your business expenses. For example, for using your personal cell phone for business, your computer, your car, etc. Labor Code Section 2802. It is illegal when you aren't reimbursed for your business expenses in California. How long do I have to file an unpaid wages lawsuit in California? For most unpaid wage claims, you have three years in order to bring a a lawsuit to recover your wages. This can be extended out to four years with an unfair competition claim. Paycheck violations and PAGA cases have a one year statute of limitations. Here an article that discusses the time limits to file unpaid wages cases in California. How much money will I get if I file an unpaid wages lawsuit in California? Not to give you a lawyer answer, but that really depends on so many factors. First you have to determine the amount of wages that you are owed. This step alone is subject to a lot of analysis. For example, you may be owed pay for 10 hours that you worked. You then need to evaluate whether you are owed overtime. Next you need to determine whether your employer violated any additional California wage and hour laws, Labor Code Section and/or Wage Order requirements for your industry and/or occupation. The reason I bring this is up, is we are repeatedly asked to perform unpaid wages analysis for folks and we usually find additional violations/ wages that are owed. For example, just from the 10 hours of pay you are owed you may also be entitled to paycheck stub violations and waiting time penalties. Then you may need to do a PAGA penalty analysis. You may be thinking, but I just want to be paid for the 10 hours that I wasn’t paid for. But what you are going to see is that you may be owed a lot more than the 10 hours of wages. Then you have to evaluate the employer’s potential defenses and the ability to pay. There are all reasons why we suggest that you have a confidential, free, no obligation unpaid wages analysis done in order to give you the peace of mind that you are getting all of the wages that you are legally owed. Here is an article on calculating your unpaid wages owed to you. Does my employer have to pay me my regular wages or the agreed upon wages? Yes. Your employer must pay you the amount that they agreed to pay you. Thus, if you’re being paid $24 an hour and you work that week, your employer can’t legally say they will pay you $15 after you have worked. See Gentry v. Superior Court 42 Cal.4th 443, 456 (2007). What makes this all worthwhile - when employees receive their checks for unpaid wages! Can I recover attorney fees if I have to sue to get my unpaid wages? Although there are exceptions, you can recover attorney fees if you have to file a lawsuit to recover unpaid wages. You can also recover costs of filing the lawsuit. California Labor Code Section 218.5; California Labor Code Section 1194. However, you can not recover attorney fees and costs for meal break and rest breaks claims. Kirby v Immos Fire Protection 53 Cal.4th 1244 (2012). Can I recover wages if I work off the clock? In California, your employer must pay you for all the time that you work. This includes before your shift is supposed to start, during meal breaks, and after your shift is supposed to start. Anytime you are under the control of your employer and/or subject to any duties by your employer, then you must be paid for that time. This is commonly called “off the clock” work. Meaning, you are working by your time is not being captured by a time keeping system. So, you aren’t being paid for this work time. Which, is illegal in California. You are entitled to your regular rate of pay and overtime pay if the work is in excess of eight (8) hours a day or 40 hours a week. Bill also suggests that you consult with the best, honest lawyer that you can whenever evaluating whether you have a claim, the potential value of your claim, how to best proceed with your claim and a whole host of other potential issues, problems and/or defenses. Bill always points out that there are no guarantees that any lawsuit, wage class action case, and/or PAGA case will be successful and/or whether anyone will recover money, wages and/or penalties. There are any number of reasons why these cases are defeated, aren’t certified and/or are unsuccessful. Every case is different. Every situation is different. Every case has different facts, evidence and defenses.